She lives and works in Toronto! With an official engagement now underway, we can't help but take a closer look at Prince Harry's girlfriend, Meghan Markle. On Nov. 23, 2017, media outlets reported that bookmakers had stopped betting on when an engagement between the couple will take place, and that the BBC was on standby should Kensington Palace make an announcement. It didn't help matters that Markle, who recently wrapped filming "Suits" — reportedly her last season — was seen moving out of her rented Toronto home and flying to London to be with her prince just a few days ago. The couple will reportedly live together in Harry's Kensington Palace home, Nottingham Cottage. Prince Harry and his girlfriend Meghan Markle watch the wheelchair tennis event during the Invictus Games in Toronto, Ontario, Canada September 25, 2017. But engagement rumours have been making the rounds long before this week, most notably when Markle began to shed commitments such as her deal with clothing label Reitmans and shut down her lifestyle website The Tig. Royal watchers began thinking an engagement was inevitable after the couple took a vacation together to celebrate the actress' 36th birthday this summer, and more recently, when they made their official debut as a couple at the 2017 Invictus Games in Toronto in September. During the year and a half they've been together, we're sure the prince has gotten to know Markle quite well, but many royal fans might still be wondering who exactly is the stunning brunette who managed to capture the prince's heart. Below, we've rounded up 19 interesting facts about Meghan Markle. One thing's for sure, she's certainly much more than just a pretty face. According to reports, Prince Harry took Markle to visit his grandmother over tea at Buckingham Palace in October. The meeting was "said to be extremely informal... in part it was to settle any nerves Meghan might have felt but also to ensure it was not widely publicized within the palace," reports the Daily Mail. Markle was born in California to an African-American mother and a Dutch and Irish father. Flower. Her mom has called her this since she was a child. She also goes by Meg, MM and M&M. 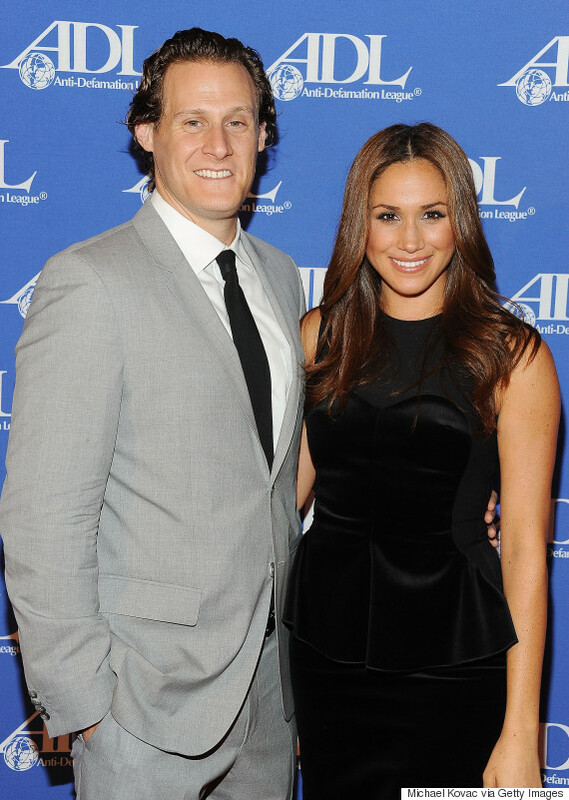 She's a main character on the show "Suits"
She got her big break playing paralegal Rachel Zane on "Suits." Prior to that she had roles on shows like "Fringe," "CSI: Miami" and "General Hospital." Markle lived in Toronto (with her two dogs) for five years while she was filming the TV show "Suits." After filming wrapped on Season 7 in November, the actress was reportedly spotted moving out of her home and jetting off to the U.K. to live with Harry at his Kensington Palace residence, Nottingham Cottage. Markle was dating Chef Cory Vitiello when she met Prince Harry in May. The couple broke up that same month and Markle started talking to Harry more frequently following the split, the National Post reports. In 2011, Markle married her boyfriend of seven years in Jamaica. Two years later they separated. Markle runs her own lifestyle blog called The Tig. She covers everything from food to travel and fashion and beauty as well as influencers. Markle's Instagram feed is filled with images of her hopping on planes and lying by the beach. "I spend almost every week on a plane, and between travel for work, or press, or more importantly for humanitarian work, it is my access to experience this big beautiful world of ours," she wrote on her blog. Markle grew up surrounded by TV cameras since her father was a lighting director on the set of "Married with Children." She also grew up practicing yoga. "My mom is a yoga instructor, and I started doing mommy-and-me yoga with her when I was seven," she told Best Health Magazine. Doria Radlan and Meghan Markle are seen at the Closing Ceremony on day 8 of the Invictus Games Toronto 2017 at the Air Canada Centre on September 30, 2017 in Toronto, Canada. In an essay she wrote for Glamour magazine, Markle noted that her mom, Doria Radland, is a major inspiration. "My mom has always been a free spirit. She's got dread locks and a nose ring. She just ran the LA Marathon. We can just have so much fun together, and yet, I'll still find so much solace in her support. That duality coexists the same way it would in a best friend." Radland has also met Markle's beau, and the three of them were photographed together at the Invictus Games Closing Ceremony. According to the Daily Mail, the couple are actually 15th cousins, related through a late 15th-century ancestor of the Queen Mother. Mary Greenwell, who did the late Princess of Wales' makeup for magazines such as Vogue and Vanity Fair, also did Markle's makeup when she posed for the October 2017 issue of Vanity Fair. The makeup artist posted photos of Markle's photoshoot on Instagram and wrote that she had "a lovely day" with the actress on set. Prior to getting a small gig on "General Hospital," Markle worked as a freelance calligrapher and even did the wedding invitations for Robin Thicke and Paula Patton's wedding in 2005. The note shown in the photo above was written by Markle to a HuffPost Canada Style editor, regarding her Reitmans collection. Yes, the former Prime Minister's daughter-in-law Jessica Mulroney. Markle often posts pictures of the pair vacationing together and hanging around at home. Perhaps the current Prime Minister introduced the pair while showing the prince around Toronto? Markle has travelled to Rwanda as a Global Ambassador for World Vision Canada. She Is also a supporter of the United Nations He For She Campaign. 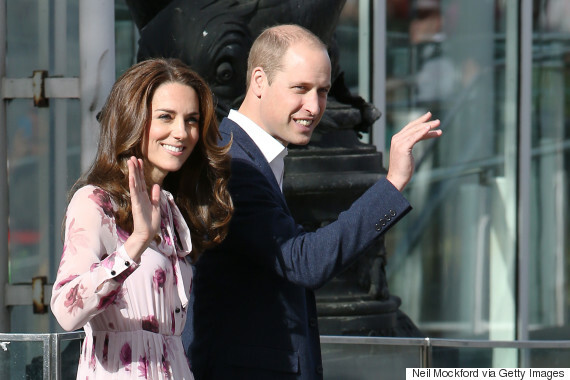 The prince and the actress can most definitely bond over their shared respect and gratitude to servicemen. According to the Sun, Markle met the Duke and Duchess of Cambridge on one of her recent trips to London. With files from Chloe Tejada. This post has been updated with new information on Nov. 27, 2017. MORE: Living Meghan Markle meghan markle background meghan markle boyfriend meghan markle husband meghan markle jessica mulroney meghan markle parents Meghan Markle prince harry meghan markle suits prince harry actress girlfriend prince harry girlfriend prince harry girlfriend photos video Who is meghan markle?